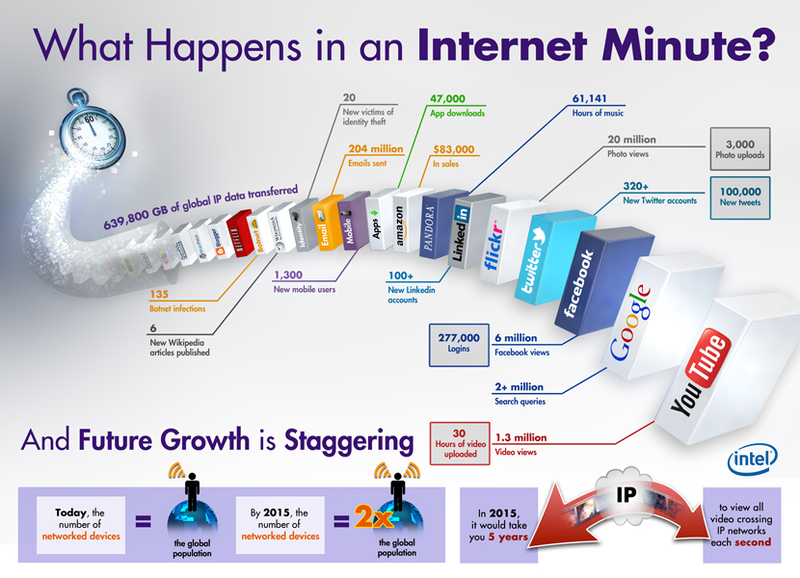 Have you ever asked yourself what happens during one minute on the Internet? Intel's image below shows it. 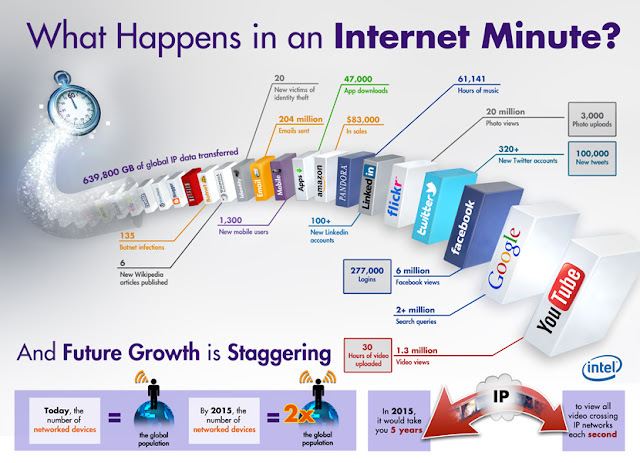 Today, the number of network devices is the same as the global population, but by 2015, the number will double the global population!